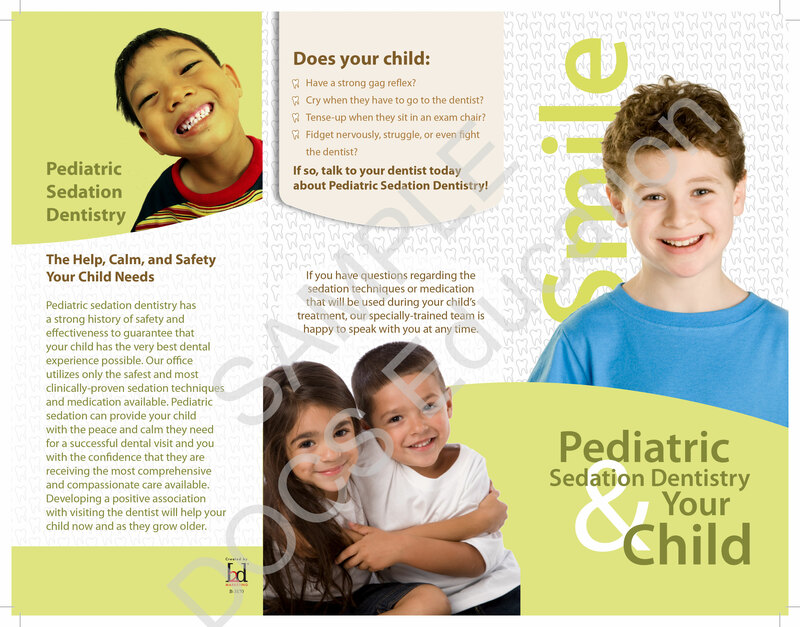 These brochures are an excellent resource for parents deciding if pediatric sedation dentistry is right for their child. 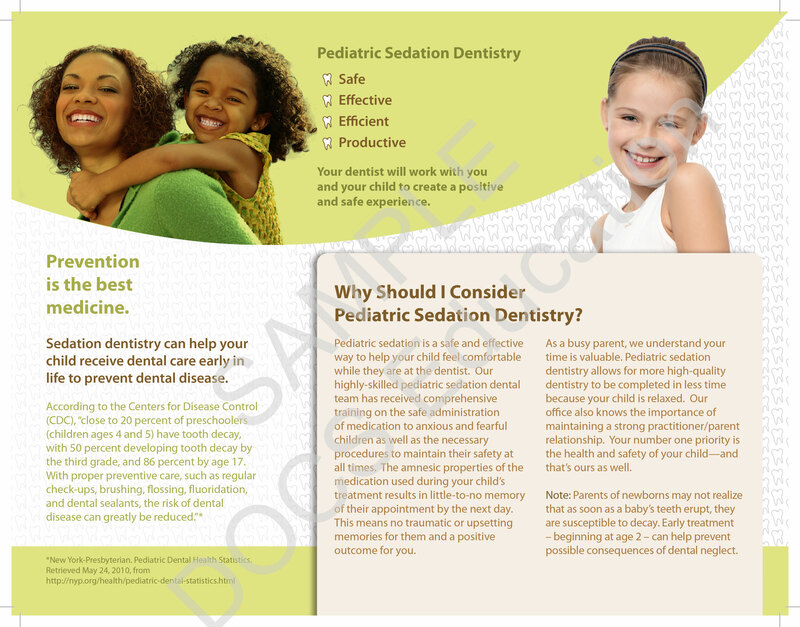 Packed with information that educates parents on why they should consider pediatric sedation dentistry, this tool helps patients make the best choice for their child. These brochures include answers to commonly asked questions, facts about safety and much more. 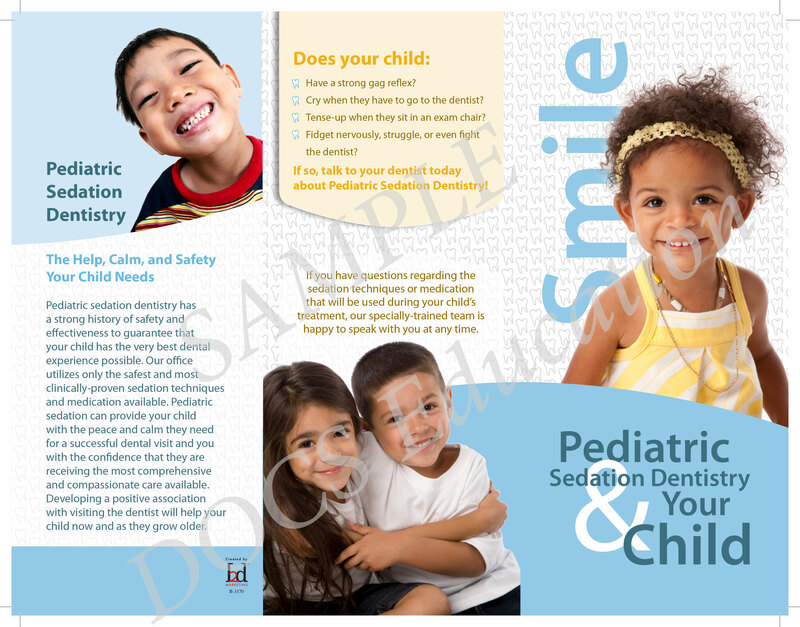 Brochures are available in a variety of covers with healthy, happy pediatric patients that reflect your patient demographic. 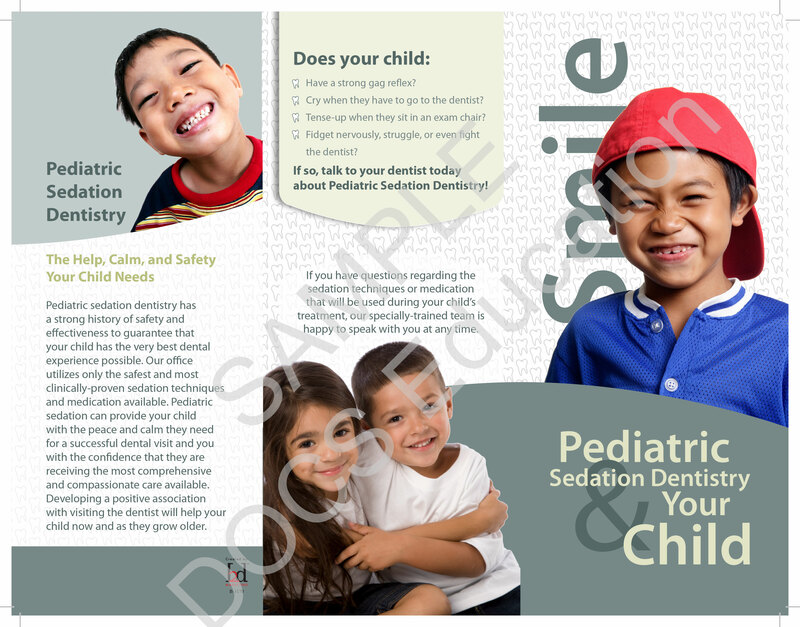 To save on larger orders or to find out more about custom printing options contact your DOCS Education representative at 866-592-9618. All products ship via FedEx ground. Allow 7-10 business days for arrival. For express shipping, please contact your DOCS Education representative.